Private Internet Access is a US-based VPN provider offering privacy and security solutions through strong encryption levels and multiple servers located across the world. This Private Internet Access review evaluates the legitimacy and competency of the VPN service’s claim for providing privacy and anonymity to users over the internet. Read this Private Internet Access review and latest user opinion covered by best vpn. Many VPN providers claim to offer a “No logging policy”, but very few follow through on their promise as we have highlighted with extensive detail in our guide on logging policies of over 100 providers currently operating in the industry. Majority of the services we have reviewed, do log some minor session/connection data. This only came to light, after those VPNs were subjected to official investigations when users were found using services for illegal activities. A recent example was of PureVPN that revealed logging details to the FBI. However, if you are looking for a service that stands strong even from FBI pressure, you must use Private Internet Access. Last year, the provider came into the crossfires of an investigation by the FBI, regarding a user falsely informing and spreading information on bomb threats. In December, a number of hoax threats were sent to a variety of airports and schools by the name of “Eric Mead”. Investigations led to evidence of a stalker named McWaters going mad in obsession over a former co-worker Devon Kenney. If you have not already guessed, Eric Mead is the name of Kenney’s boyfriend, who upon being confronted blatantly denied making any of the threats. Suspicion turned towards McWaters who tried contacting the ex-employee crush more than 100 times. All the attempts to contact emails, Facebook, Twitter, and TracFone traced back to an IP address from Private Internet Access. Even though the FBI had enough evidence to put McWaters away, they requested PIA to hand over its logs. Since the provider does not keep any logging information, it was unable to cooperate; ensuring the privacy of user remained intact. USA is probably the worst place in the world for a VPN to be based in. Its not just part of multiple data sharing alliances like 14 Eyes as we pointed out in our detailed guide on problematic jurisdictions, but it also has multiple types of data retention laws that can seriously allow it to force any provider to gag data anytime it wants. All of these issues affect PIA, turning any otherwise good enough service, into one that shouldn’t be subscribed to. However, since PIA has not shared any logs with the authorities thus far, it has managed to salvage some credibility despite being based in the USA. But, we wont advise you to take the risk and look for a provider that is based in a safer location like ExpressVPN or Surfshark, instead. PrivateInternetAccess offers three pricing plans, just like most of the VPN providers in the industry. You can choose from a monthly account, annual account, and a 2 yearly account. The monthly package is offered at $6.95 per month which is slightly on the higher side compared to some other VPN providers. However, you can choose from the longer duration accounts to avail much lower prices as the yearly package costs $3.33 per month and double yearly plan costs $2.91/mo (half of what a monthly packages costs). Private Internet Access review showed that it offers great value for money as each of the package comes with a 7 day money back guarantee and offers the same features and protection level across each pricing plan, ensuring that your data and privacy is safe from all kinds of threats over the internet. For Private Internet Access discount coupon check out Black Friday VPN deals. If you are looking to try the service for free for few days, we are sad to report that Private Internet Access does not provide any free trials at this stage. The VPN service does offer a 7-day money back guarantee from the day of the sign-up. We recommend that you utilize these seven days and test the service across all the platforms and devices you use. Try different servers, access various geo-restricted websites, and check for any issues with the service and its features. According to our PIA review, the VPN has over 3272 servers spread across 33 countries worldwide. Among these, including Australia, Brazil, Canada, Denmark, Finland, France, Hong Kong, India, Ireland, Israel, Italy, Japan, Mexico, Netherlands, New Zealand, Norway, Romania, Singapore, South Korea, Sweden, Switzerland, Turkey, UK, US. You can check PIA’s network page here for more information about the number of servers and locations in each country (screenshot below). Though the number of supported locations are slim, PIA is constantly adding more servers to the list. For now, it makes up via its high server per location ratio. This allows users to mask their original identity and remain anonymous over the internet with the added incentive of using servers that feature less user load. As a result, you receive exceptional speeds, regardless of which country you establish a VPN connection using PIA – which is essential for seamless torrenting and streaming! Below are the results of a speed test on a 100Mbps connection to give you an unbiased view of the speeds you will be able to leverage when connecting to different PIA servers. The results below will give you a better understanding of the difference between the primary network speed and PIA premium servers. The US to France server tests showed excellent speed levels. Though the download and upload speeds reduced. The VPN managed to deliver a consistent 50.67Mbps download and 35.47Mbps upload, with latency up to 418ms. The US to Australia server tests were quite impressive too. You can leverage 52.25Mbps download and 37.48mbps speed with 231ms latency. This is still quite a lot of speed for browsing/torrenting! PrivateInternatAccess is always lauded as a VPN service that performs the best in VPN related entertainment functionalities like Torrenting and unblocking geo-restricted content. But all the marketing mumbo jumbo on the site of a VPN doesn’t amount to anything if the provider cant back it up with actual performance. And that’s exactly what left us disappointed with PIA when we checked out its performance for Torrenting. PIA used to be a great service for Torrenting purposes as was evident by the number of people vociferously recommending it for the same purpose on Reddit and other popular social media forums. But lately its performance has gone down into a nosedive. Seriously! I tested PIA’s Torrenting performance by trying to connect to one of its special P2P servers and downloading a movie to see how well does it work. And I have to say, the results were dismal. 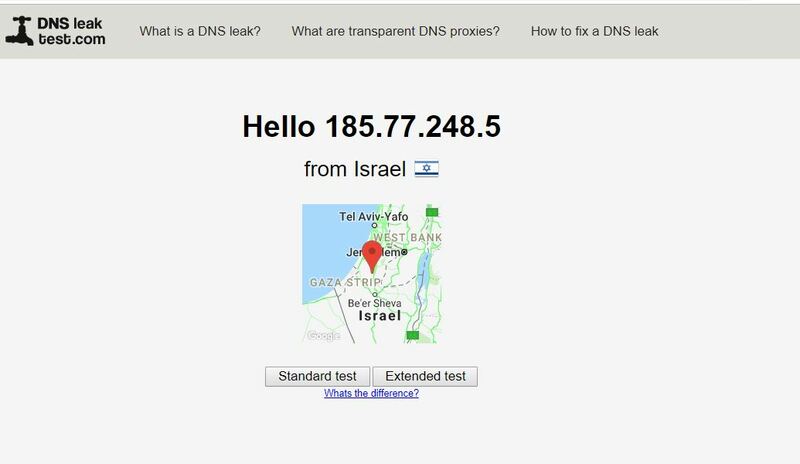 I connected to their Israel server, which they have specially demarcated for the task of Torrenting. Once I got connected to this server, I then went to Yts.am, a popular Torrenting site that holds a lot of latest movies and other sort of content that you can easily download. Note: We, at BestVPN.co do not promote downloading copyrighted content in any manner whatsoever. The download process for this file was also stopped midway to ensure that no such file lands on our system. This demonstration was just intended to show PIA’s performance for Torrenting only. On Yts, I went on to download the movie “Requiem for a Fighter” through my Utorrent client. And the download speeds on Torrenting as well as the uploading speeds were well below par. Enough to make us downgrade PIA to a not-recommended service for Torrenting. These are the results from a 20 Mbps connection, which means that PIA’s Israel server actually downgraded our download speeds by 84%, which is just not acceptable for a VPN that promotes itself on Torrenting. PIA’s speed loss used to hover around the 30-40% mark just a few months back. Maybe they are going through a bad phase and things will get better soon, but for now, PIA is definitely not a VPN you should be going for if you are looking to get a Premium Torrenting experience. Private Internet Access Netflix Test – Does it Works? I was quite dazed from the Torrenting performance of PIA speed tests, but still, I was expecting much better from the provider when it comes down to unblocking Netflix. But, here again I was left disappointed as PIA failed to unblock Netflix US twice before connecting the third time. I was connected to PIA’s New York server while trying to unblock Netflix as this was their best server for the task previously. And when PIA finally managed to unblock Netflix US, I decided to stream Ex Machina, which is a geo-restricted movie only available to Netflix US users. Yes, the movie was streaming but yet again I encountered the same sort of problem I did with PIA VPN speed as I did with it in Torrenting. PIA VPN Speed was so slow that, firstly, the movie buffered a lot. And by a lot, I mean, a lot. Secondly, PIA speed didn’t allow the movie to ever reach HD quality. The grains on the screen remained omnipresent. As I have already explained that Private Internet Access Speed was quite slow on Netflix, I need to show you how much slow it actually was. Once again the streaming speeds remained in the 3 Mbps range on my 20 Mbps internet connection. Private Internet Access Speed is the exact reason why the provider was not working well with Netflix streaming. The other functionalities are still quite acceptable, like it managed to unblock the site’s US version in third attempt but still, if the speeds are not up to acceptable limited for streaming, we are talking in the range of a 30% speed loss on average, then PIA will not remain a suitable VPN for Netflix in the future. Private Internet Access utilizes different methods to respond to its users’ queries. It is important for any service, especially in the VPN industry, to have various channels through which users can communicate with the service to seek assistance. PrivateInternetAccess uses a live chat feature as well as a knowledge base and an FAQ section to resolve user problems and answer to their requirements. In our Private Internet Access review, we tested the live chat feature and were pleased with its overall result. Although it took a short while for the customer support staff to come online and attend our chat, the staff member was quick to respond to our query and guided us in an appropriate manner. The live chat feature is available 24/7 throughout the day and is present 365 days a year. This shows that PIA is committed to providing high-quality user experience and devoted towards resolving your VPN related problems. PIA has a well versed and detailed knowledge base that can be accessed from the ‘Client Support’ option from the website. In the knowledge base, there are setup guides, configuration files for OpenVPN protocol, and information on the different features offered. If you are a new user or are planning to use PrivateInternetAccess then going through the FAQs is a good starting point as it will give you sufficient starter information about the service. Private Internet Access accepts different methods of payment. These include credit and debit card payments, as well as PayPal, American Express, BitCoin, Ripple, Pay Garden and many other payment methods. You can also pay for the service anonymously using the gift cards from Wal-Mart, Starbucks, Macy’s, etc. The sign-up process for Private Internet Access is easy and requires few steps. The process is dependent upon the payment method that you select. We used PayPal for purchasing the service and it redirected us directly to PayPal’s webpage. All you need to do is fill out the details and that’s it, you are done. If you chose to use the credit card option for payment, it requires a little more personal information including your email address. You can use a use a gift card or you can pay with Bitcoin if you want to pay anonymously. Once you sign-up for the service, you can either configure the VPN service using manual configuration or use the VPN client. The client is available for Windows (XP and later versions) and Mac OS X (10.6 or higher version). You can download the clients from the ‘Client Support’ page for free. Once you download the client, you just need to enter the username and password and connect to the VPN service. There are some advanced settings that you can also use while logging in to the client. You can select the connection type you want, remote port, or if you wish to use the port forwarding, VPN kill switch, DNS leak protection, or IPv6 leak protection. You can also use the client to select the encryption level, data authentication, and handshake settings you want for protection. In our Private Internet Access review, we were pleased with the number of devices and operating systems the service is compatible with. You can configure the VPN on your Windows and Mac using the software client or manual setup. The service can also be used on iOS and Android devices using the setup instructions provided. PIA also works on Ubuntu Linux devices, different routers, and Boxee Box device. This provides protection on multiple platforms and along with the multi-login feature you can stay protected while enjoying internet freedom. Private Internet Access offers setup guides and tutorials for configuring the service on each of the devices it is compatible with. The setup instructions for PIA can be accessed from the ‘Client Support’ page on the website. These guides provide step by step instructions for configuring the service and there are separate tutorials for configuring different protocols on the compatible devices. There are OpenVPN configuration files that can also be downloaded from this page. PrivateInternetAccess provides strong security measures by combining different protocols and encryption levels. The protocols offered by PIA are PPTP, L2TP/ IPSec, and OpenVPN. These protocols work in combination with encryption levels to safeguard your data against various threats. The encryption levels include AES (CBC Blowfish) 128 bit and 256-bit encryption. If you use the client software of the service, you can also choose the data authentication and handshake settings for protecting your data and identity. However, there is no option to select the protocol using the client software as it comes with default OpenVPN protocol settings. You can manually configure the protocol of your choice if you do not wish to use OpenVPN. MACE is a new system offered by PIA, which further boosts a customer’s security and privacy. This feature returns IP addresses of unwanted domain names, as an address that is not routable. As a result, the VPN will block irritating ads from all websites, which saves your data and bandwidth. By also blocking trackers and cookies, you can ensure your identity remains completely safe. The best part of all: you do not have to download a separate application for this feature, as it comes built-in with the VPN. If you are looking for a reliable VPN that does not place any bandwidth limitations or tracks your torrenting activity, PIA is definitely a good choice. The service offers complete anonymity but limited speeds. This ensures your identity remains secure at all times while being able to download whatever you want at the utmost level of convenience. Private Internet Access even supports the SOCKS5 proxy, which guarantees the highest security for P2P/Torrenting activities. This protocol supports advanced networking technologies like IPv6 and UDP, which ensures you remain safe at all times. You can feel assured that your identity remains completely anonymous from prying governmental agencies and local ISPs. The internet kill switch allows you to stop your internet connection when the VPN disconnects. This keeps you protected and negates any chance of malicious entities accessing your data or knowing your identity if VPN fails. The port forwarding feature allows you to redirect certain communication to a specific gateway. However, this reduces privacy and PIA advise to keep this feature off it you value high security. Using this feature, you get ultimate protection as your DNS is routed through the VPN. 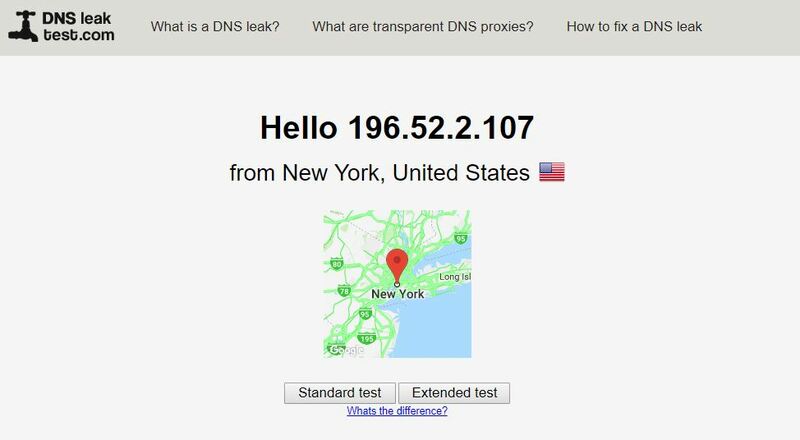 This way you are protected from DNS leakage and your privacy remains intact. The IPv6 leak protection disables the traffic going through IPv6 while you use PIA VPN. This ensures that there is no leakage of IPv6 traffic. With Privateinternetaccess you can connect up to 5 different devices at the same time using the same account. The 5 multi-login feature allows users the flexibility and safety of the internet no matter which device or platform they wish to use. How to Use Private Internet Access (PIA) in China? Similar to other providers, PIA’s website is inaccessible in mainland China, following the Governments restrictions on China VPN services. This leaves you with only one option for using Private Internet Access (PIA) in China: setup the VPN manually. While the “Great Firewall” does block any VPN connections it can find, it does offer certain leeway to IPSec/L2TP connections. Follow PIA’s guide on how to setup the protocol on different devices. This includes instructions for routers, Android phones, iOS, and desktop too. Private Internet Access is one of a kind VPN service that offers tight security and privacy. The service values protection against different threats over the internet and delivers it through its secure protocols and encryption levels. In our Private Internet Access review, we were pleased with the overall package that is delivered by the service. Apart from slow performance speeds, the service is easy to use and setup. Combined with good customer support and detailed setup instructions, PIA offers good value for money. So if you are looking for a VPN service that provides top-notch internet security and protects your privacy over the internet, nothing comes closer than Private Internet Access.